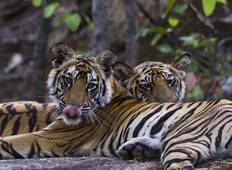 Safari tours in Ranthambore National Park and other wildlife reserves in the country offer a mix of quintessential India experiences. 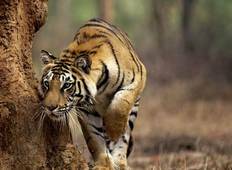 One day you'll see the iconic Indian Bengal Tiger saunter in its natural habitat, and a few days later you'll rise to witness the sun rise over the Taj Mahal. "The tour was amazing and i would definitely recommend the tour to anyone of any age...."
"Just returned from the most wonderful and relaxing vacation I have ever taken. The..."
"I would like to thank K K Holidays and the whole team for the fantastic work ,not..."
"Marvellous trip ! We had a group of 12 people and i was a leader. I was very worried..."